Find the best unique gifts and gift ideas for him this year. Shop for creative ways to spice up the BBQ! Every guy loves exciting new technology and gadgets. Why not combine that with his everyday BBQ grill? Chef Tony has hand picked some of our best and most unique BBQ gifts. 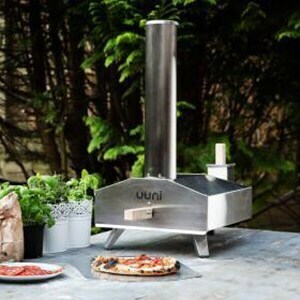 a wood-fired pizza in 60 seconds. Treat yourself to chargrilled oysters made right at home on your grill with these ceramic oyster shells. 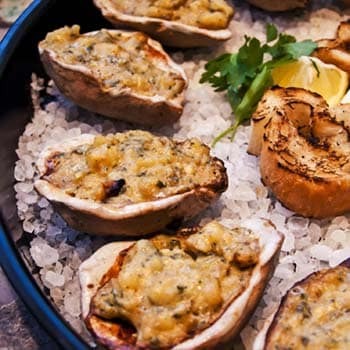 Enjoy baked or chargrilled oysters without the tedious task of shucking them. 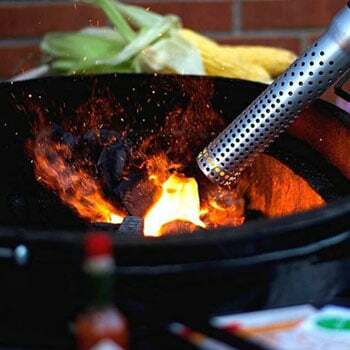 These GrillGrates interlock over any grill to sear, sizzle, radiate and protect. valleys then steam or sizzle adding more flavor and moisture into your food. The Man Law 5 in 1 stainless steel grill topper is made by men for men. together or separate for the ultimate grilling experience. Napoleon Pro Series Bamboo cutting board makes prepping your food easy. captures juices and directs them into the bowls through the handles.